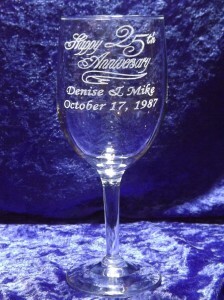 Personalize these 10oz White Wine Glasses for Weddings, Anniversaries or any special occasion or event. These glasses are laser engraved so the image will never wear off. 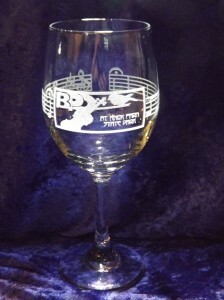 Each glass can be engraved with your custom text or graphic. These 20oz wine glasses are great for fund raisers where they can double as water glasses. 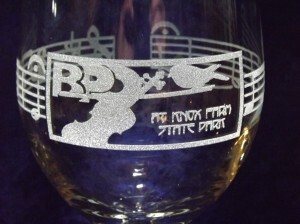 The large engraving area allows for larger graphics that can also be engraved around the entire glass. These glasses are laser engraved so the image will never wear off. 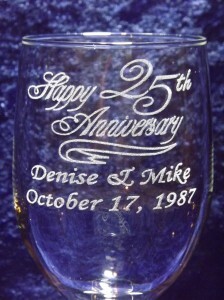 Each glass can be engraved with your custom text or graphic. Pricing and online ordering coming soon! Until then, please click ‘Get a custom quote’ on the right to send us a pricing request. We will get back to you as soon as possible.